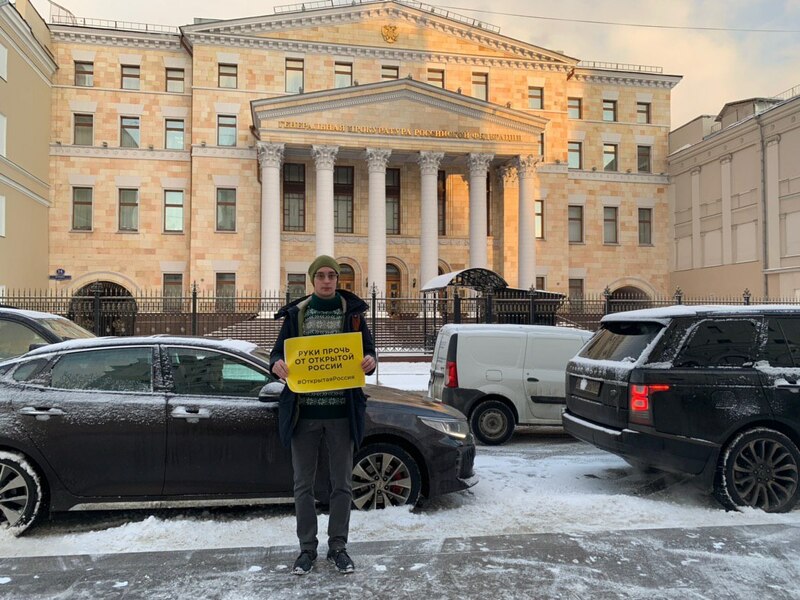 The Russian authorities have for the first time used the repressive “undesirable organisations” law to open a criminal case against human rights defender Anastasia Shevchenko, exposing her to the risk of a six-year prison term, Amnesty International said today. This morning Anastasia Shevchenko, a Coordinator with the Otkrytaya Rossiya (Open Russia) movement, was charged with “repeated participation in the activities of an undesirable organisation.” Until now, violations of this law were punished under administrative law. On 21 January, police raided homes of six Open Russia activists in Rostov-on-Don (Southern Russia) and Kazan (Central Russia). A criminal investigation was opened against Anastasia Shevchenko, the movement’s Coordinator in Rostov-on-Don. This is the first-ever criminal case opened under Article 284.1 of the Criminal Code, according to which a repeated alleged violation of the law on “undesirable organisations” is a criminal offence. On 18 January, police filed a case against Open Russia Coordinator in Krasnodar Yana Antonova for posting a video about the shortage of schools in the region. She was charged with “participation in the activities of an undesirable organisation”, this is an administrative offence when “committed” for the first time.